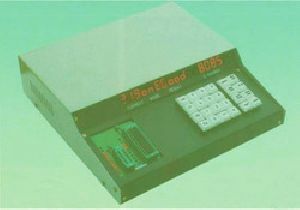 Test by : Truth table/sequence table comparison. 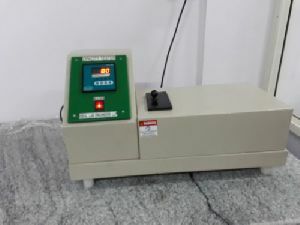 Supply Voltage : 230V AC. 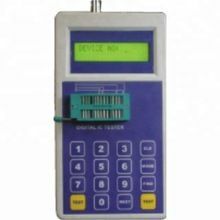 ZIF : 24 pin DIP ZIF sockets, Keys: 16 keys. 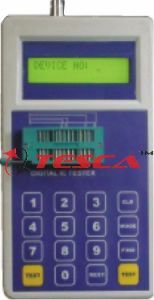 Display : 16 x 1 line LCD display. 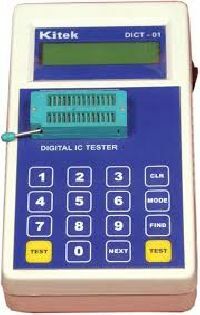 Device Supports l Tests a wide range of Digital IC's such as 74 Series, 40/45 Series of CMOS Ic’s l It has Auto search facility of IC’s l Test by: Truth table/sequence table comparison. 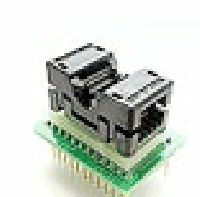 l ZIF: 28 pin DIP ZIF sockets. 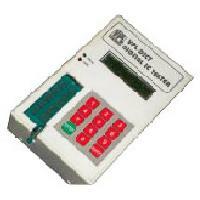 l Keys: 16 keys Key pad with numerical & functional keys. 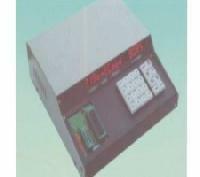 l Display: 16x2 LCD Display. 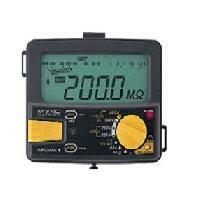 l Supply Input Voltage:9V DC Adaptor. 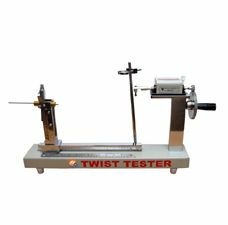 To determining the gsm of paper , paperboard , & polyfilm sheet , aluminium sheet, fiber etc with the help of 100cm sample cutter for high accuracy & easy to use. 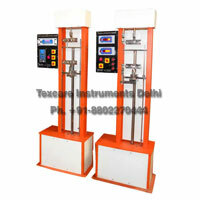 Beakers : Four 1200ml & Four 550 ml Beakers. 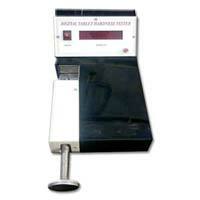 * Display : : Force & deflection. 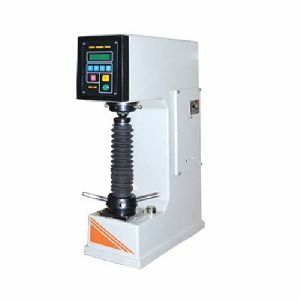 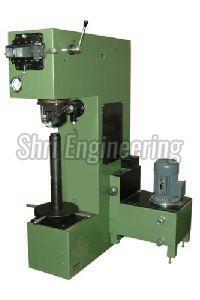 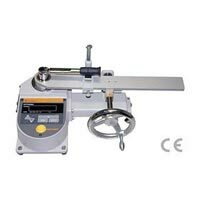 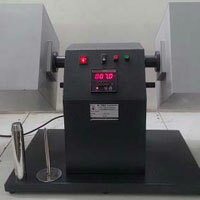 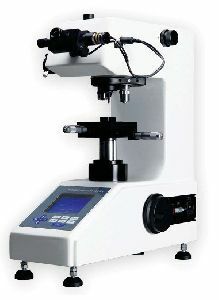 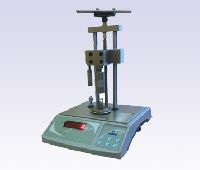 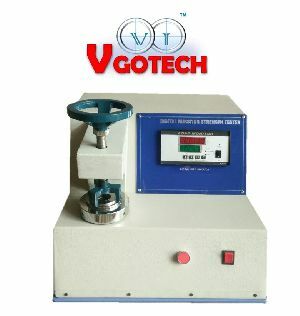 Contech digital force measuring guage is a device used for measuring axial force. 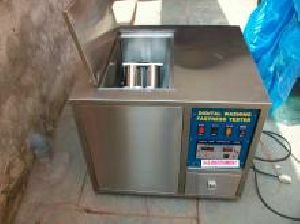 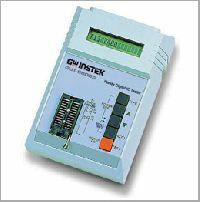 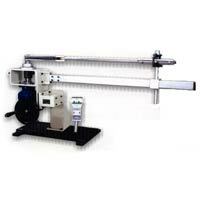 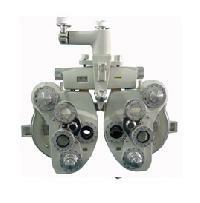 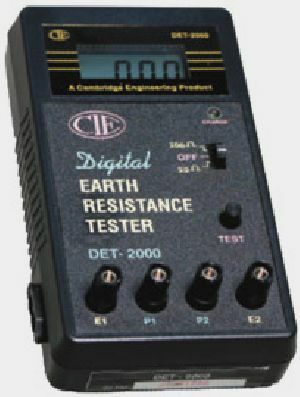 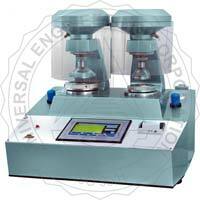 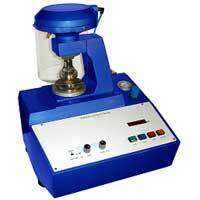 This can be used as handheld instrument or attached to a testing bench. 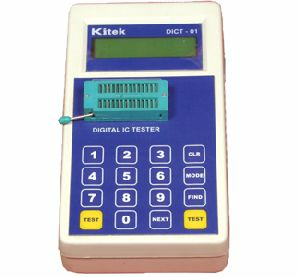 Multipurpose Digital Line Tester To Measure 12V to 220V AC and DC Voltage. 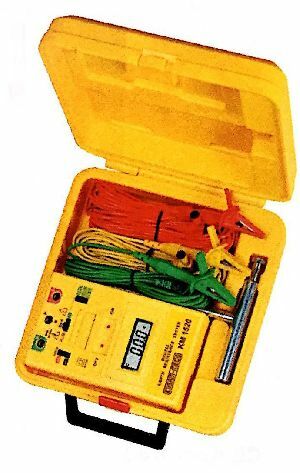 To locate break point of an insulated wire. 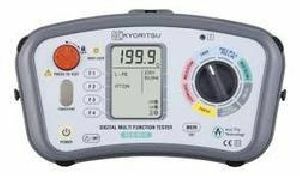 To check flow of current in an insulated wire from outside.